Let's face facts -- some folks are just downright unfortunate looking. Take Greta Van Susteren (please). 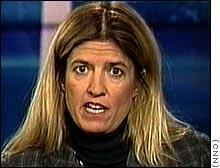 Even after some well-publicised "tweaking" around the eyes, Ms. Van Susteren remains Coyote Ugly. I'm sorry if some of you find this to be offensive, but it's the God's Honest Truth and you know it. 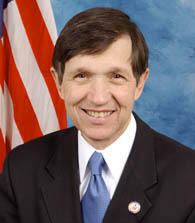 As for the guys, how about Dennis Kucinich? During the Democratic Presidential Candidate Debates, more often than not, Mr. Kucinich seemed to make more sense than his rivals. Yet, seated side-by-side, he managed to make John Kerry look decent -- and that man has a face only a filly would find attractive. Just think if these two were married and had children -- the mind boggles. For our first poll I am limiting the "Non-Photogenic" contestents to major league baseball players. Should this new feature prove successful (based on the number of responses received) I will make this a regular part of needtovent-movies.blogspot. Future contests may be composed of actors/actresses, football coaches, defrocked priests, Miss Idaho contestants and just about any other subset of humanity one can imagine.